This blog summarizes an article from our most recent E360 Outlook, entitled “Pioneering Natural Refrigeration.” Click here to read it in its entirety. When it comes to the use of natural refrigerants in commercial refrigeration, Whole Foods Market (WFM) is a true pioneer in the U.S. food retail space. Even before the recent wave of regulations prompted retailers to look for more eco-friendly alternatives, WFM was deploying sustainable refrigeration systems with the intent of reducing harmful environmental impacts and improving energy efficiencies. Today, 22 of its 465 stores utilize all-natural refrigerant systems, with most of them moving to the hydrocarbon R-290 (propane) for their self-contained cases. According to Tristam Coffin, WFM’s director of sustainability & facilities for its Northern California region, refrigeration comprises roughly one-third of their total energy usage. Their commitment to moving to natural refrigerants arose out of a desire to lower energy consumption and reduce the potential for direct environmental impacts from refrigerant leaks. But figuring out a natural solution for their self-contained cases presented a unique challenge for the company. 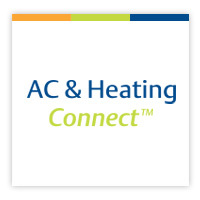 When they first started looking for R-290 case manufacturers in 2013, AHT Cooling Systems USA was among the refrigeration equipment manufacturers offering R-290 units. AHT National Sales Manager Howell Feig said that developing R-290 products for the European market enabled AHT to help early adopters in the U.S. Since 2013, WFM has deployed R-290 self-contained cases across the company’s entire network of stores. Currently, 50 to 60 stores per year are migrating to R-290 as replacements to HFC units, either in new stores or in new programs. “While these units make up less than 10 percent of our overall refrigeration footprint, they have hit a home run for us in that they’re 10 percent more efficient in most instances, and they’re using a natural refrigerant,” Coffin said. Both Feig and Coffin believe that the U.S. food retail industry is slowly shifting toward R-290 use in self-contained cases. From AHT’s perspective, Feig explained that early adopters like Whole Foods Market have served as a proof of concept for less progressive retailers. As a result, adoption has increased to the point where AHT will transition its entire equipment platform to R-290 by the end of this year. The 150g charge limit of R-290 systems largely restricts its usage to these low-charge, self-contained units. While the standards governing the safe use of R-290 are currently under review, Feig and Coffin agreed that a charge limit increase would open new opportunities that aren’t currently possible. Raising the limit to 500g would allow R-290 to be used in open-door cases as well as walk-in coolers and freezers. This prospect could potentially even allow for a full-store solution of self-contained R-290 cases, which would be particularly advantageous in smaller urban locations where space constraints prevent the use of centralized racks. I recently spoke at Emerson’s Chicago’s E360 Forum and spelled out the challenges and benefits of CO2 systems. For a complete look at the costs and opportunities, we encourage you to watch the full presentation. Regulatory changes to the use of refrigerants are creating difficult business decisions — and more change is coming. Reducing Global Warming Potential (GWP) is going to be an issue, so it’s worth looking at how this industry trend may influence your refrigeration strategies. HFC/HFO blends lower GWP, but only moderately. In contrast, CO2 is a zero-ozone depleting natural refrigerant that has a GWP of 1. Non-toxic and non-flammable, it’s classified as an A1 refrigerant by ASHRAE. In today’s uncertain environment, it offers a potentially future-proof solution to your long-term plans. You won’t have to retrofit out of CO2. Because CO2 is more efficient, it has more cooling capacity. That allows you to have smaller compressors and line sizes, reduce installation, and use less refrigerant within a store. Best of all, the technology isn’t new. CO2 already has a majority of the market share in Europe. Since 2013, the total number of CO2 transcritical booster systems in North America has grown from 30 to 310. More than 60 of these systems are located in warmer climates, operating efficiently with just a few modifications. CO2 system costs are also coming down, thanks to the growing involvement of OEMs, wholesalers, contractors and end users. When considering CO2, understand the total cost of ownership. The lower first cost of traditional HFC systems offers only one-time savings. While CO2 systems have higher first cost, their lower installed cost and lower energy and maintenance costs offer savings annually throughout their lifecycles. Some organizations are even lowering first costs by collaborating with local energy utilities to secure rebates and incentives. For a complete look at the costs and opportunities, we encourage you to watch the full presentation. This blog summarizes an article from our most recent E360 Outlook, entitled “Natural Selection.” Click here to read it in its entirety. One of the most complex decisions food retailers have today is selecting which refrigerant will serve as the basis of future refrigeration platforms. While there are very few refrigerants that can deliver regulatory compliance and align with corporate sustainability goals, three natural options are at the top of this short list: carbon dioxide (CO2 or refrigerant name R-744); the hydrocarbon propane (refrigerant name R-290); and ammonia (NH3 or refrigerant name R-717). In recent decades, as synthetic chlorofluorocarbon (CFC) and hydrofluorocarbon (HFC) refrigerants were found to have either ozone depletion potential (ODP) or global warming potential (GWP), natural refrigerants have made their way back into the commercial refrigeration conversation — even being listed by the Environmental Protection Agency (EPA) as acceptable for use in most commercial refrigeration applications (subject to use conditions). Make no mistake: these refrigerants are by no means perfect — each has its own caveats — but in terms of thermodynamic properties, operational efficiencies and eco-friendliness, natural refrigerants are often referred to as “future proof”. As modern refrigeration technologies continue to improve, equipment manufacturers are working closely with early adopters to develop innovative solutions. This has resulted in several creative natural refrigeration applications that belie their traditional uses — like ammonia being used in supermarket systems and CO2 playing a larger role in industrial process cooling. In September 2015, the Piggly Wiggly supermarket company opened a new 36,000 square-foot store in Columbus, Ga., that utilizes an NH3/CO2 cascade system manufactured by Heatcraft Worldwide Refrigeration. The all-natural refrigerant system uses an ultra-low charge of ammonia (53 pounds) located away from occupied spaces (on the facility’s roof). In cold storage applications, where ammonia has been the preferred refrigerant for decades, companies are also seeking to lower ammonia charges. As older ammonia systems near replacement, many operators are determining the best option to expand their facility’s low-temperature capabilities. They’re accomplishing this by adopting NH3/CO2 cascade systems that not only utilize very low charges of ammonia, but also keep the R-717 circuit out of occupied spaces. When major retailers like Target publicly announce their intentions to use only propane in their self-contained units, it’s an indication that the perceptions about the mainstream viability of R-290 are shifting. The smaller charge limits make R-290 a logical fit for Target’s smaller, stand-alone refrigerated display cases and coolers. This blog summarizes an article from our most recent E360 Outlook, entitled “Applying Machine Learning for Facility Management.” Click here to read it in its entirety. Machine learning is a subfield of computer science that refers to a computer’s ability to learn without being programmed. Although machines should be able to learn and adapt through experience, human interaction is still needed to produce desired results. Today, many facility management applications — for refrigeration and HVAC systems, for example — have taken a supervised learning approach that utilizes historical data to train an algorithm and predict an outcome from a series of inputs. Define the problem. It’s critical to have a keen idea of the problem you are trying to predict or solve, and establish well-defined goals of the application. Develop a data collection strategy. Data collection is achieved via inputs from a variety of information, including: temperatures, pressures, on-off activities (from motors, etc.) as well as the actions that result from these inputs. Your goal will be to predict the action that will occur for a given set of inputs. Data will be used to both train the learning model and validate the model’s performance. Create machine-learning models. Based on the training data collected and available inputs, you can create a machine-learning model that uses specific algorithms (math) to predict an action. Since different types of models may perform better or worse for a particular data set, you might need to create multiple models (different math) and then pick the one that performs best based on your data. Establish a standard. How closely does your model predict the action or result that came out of your training data? A perfect model would anticipate the result every time. While that usually doesn’t happen, the goal is to get as close as possible to achieving the desired results, and then use that model as a standard moving forward. Test the validation data. Based on the validation data from step two, evaluate the performance of your model. If the validation data doesn’t match up, you may need to step back and select a different training model, and then validate the data again. This is an intricate process. When and if the results do not match expectations, you may have to start from the beginning. Make sure you are collecting the right types of data before running the process again. Utilize the machine-learning model. Upon completion of your efforts, you should have a model that can be used to predict an action or result based on the available inputs. At some point, input parameters may change or another system modification may be required; in this event, you will need to go back periodically and update the model based on new data.